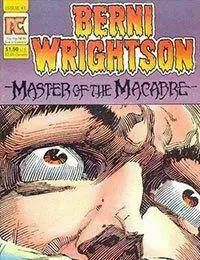 Berni Wrightson Master of the Macabre was created by Bruce Jones with the full cooperation of the master himself. Originally published by Pacific Comics, it reprints Wrightsons early horror stories, some of which appear here in color for the first time. The series ended with issue #4 but was briefly continued when it was picked up by Eclipse, which published issue #5.